Nucl. Phys. At. Energy 2015, volume 16, issue 4, pages 352-361. Received: 06.05.2015; Accepted: 10.12.2015; Published online: 12.02.2016. Abstract: Fuel temperature dynamics was reconstructed for active phase of the accident at the Chernobyl NPP Unit 4. Method of effective temperature calculation for uranium oxide is based on implementation of the CORSOR type mathematical codes and the model of lava-like fuel containing materials (LFCM) formation from fragments of the former core (FFC) in the room 305/2. Calculations were carried out according to release rate of 131I and 137Cs radionuclides during the period from April 26 until May 6, 1986. The rate of temperature drop during the FCM stage cooling bath silicate melt was estimated. It is shown that the main streams of LFCM could be formed at more moderate values of temperatures than it was performed previously. The results of the work are used to verify the “blast furnace” version of LFCM formation and formation of FCM with high uranium concentration. 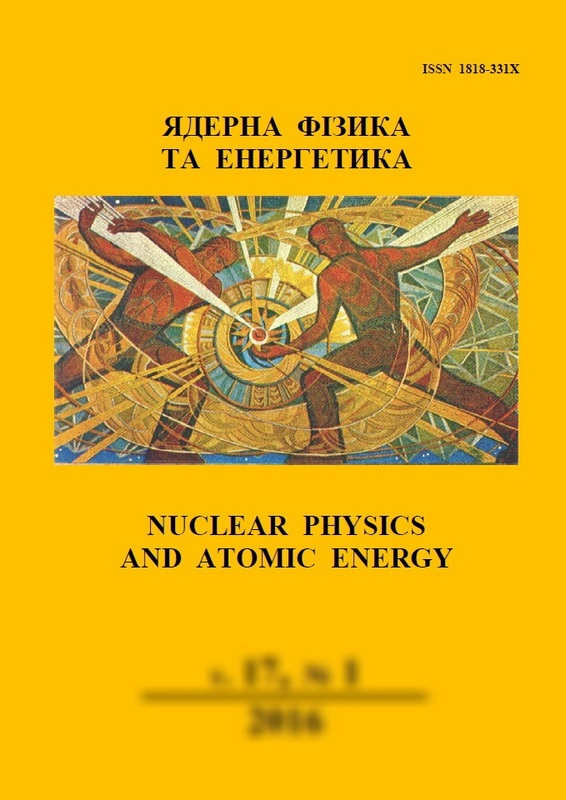 Keywords: uranium, fuel-containing materials, 131I and 137Cs radionuclides, release rate of volatile fission products, power of accidental release, effective temperature.